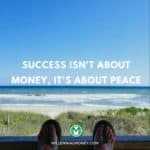 The number one reason I feel I’ve been successful with money, is because I started making good, then better, and finally the best money decisions. Learn what you can do to take your decisions to the next level. There is almost always a better, or best decision when it comes to money, but a good decision is better than making none at all. When it comes to saving, investing, launching a business, lending money, anything having to do with money the key to getting ahead is always making good decisions. You don’t have to make better or best. Good is often good enough. 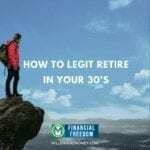 When I got my first job right out of college I didn’t start investing in my company’s retirement plan. Why? Because I was afraid of making a bad decision. So because of the fear of being wrong, I just did nothing. I also didn’t think that I was making enough money to save. So I did nothing. Not investing earlier was a big mistake. I was afraid so I did nothing. My 22 year old self-made a ton of money mistakes, but this was the first big one I made. The good decision was to start investing as soon as I could. 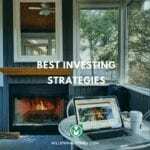 The second good decision I should have made after deciding to invest was choosing to put in the money in a total stock market index fund. How much money did sitting on the sidelines cost me? I recently pulled out my first pay stubs (yes I have them archived because I’m a digital hoarder). I then calculated what investing just 10% of my salary during the first year into the Vanguard Total Stock Market Index Fund would be worth today. I would have $10,479 in my account – or more than double what I would have contributed. It’s the textbook case of money doubling every ten years. I could have saved this money in just a few clicks, but I was too afraid. Start investing now. Invest even if you don’t understand what you are investing in. What matters is starting as soon as you can. Increase your savings rate at least 5% every year and push your saving rate as high as you can (I have saved 82% of my income in 1 month really pushing myself). It’s possible to save more than you think. How much do you need to save? These are the decisions that can really take your money and your life to the next level. 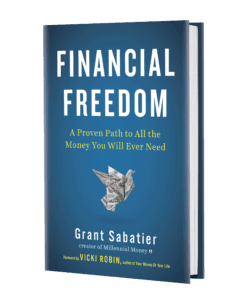 To really master money, you need to move beyond just money decisions and optimize all areas of your life to amplify the impact of your decisions. This is high-performance living! These are used by the world’s super wealthy and most successful people. Once I started making these decisions in my own life I really started to see bigger gains in my net-worth, and surprisingly, my happiness. Focus on investment diversification – while index fund investing is a sound long-term strategy, it doesn’t protect you against market downswings. Protecting the downside is easier when you are diversified across asset classes, as well as physical investments. This is one of the reasons I invest in emerging markets, domain names, art, and real-estate. Hire real experts – tax attorneys, accountants, and expert advice are essential to make the best money decisions. It is worth paying for expert advice to get an edge and you can learn quickly from experts who have decades of experience. Explore paying top experts in 15-minute increments on their hourly rates. Optimize your diet – food has a huge impact on your productivity, decision making, happiness, and of course well-being. I personally eat a high-quality fat, high vegetable, lower carb diet. A lot of salmon, avocado, grass-fed meats, and vegetables. 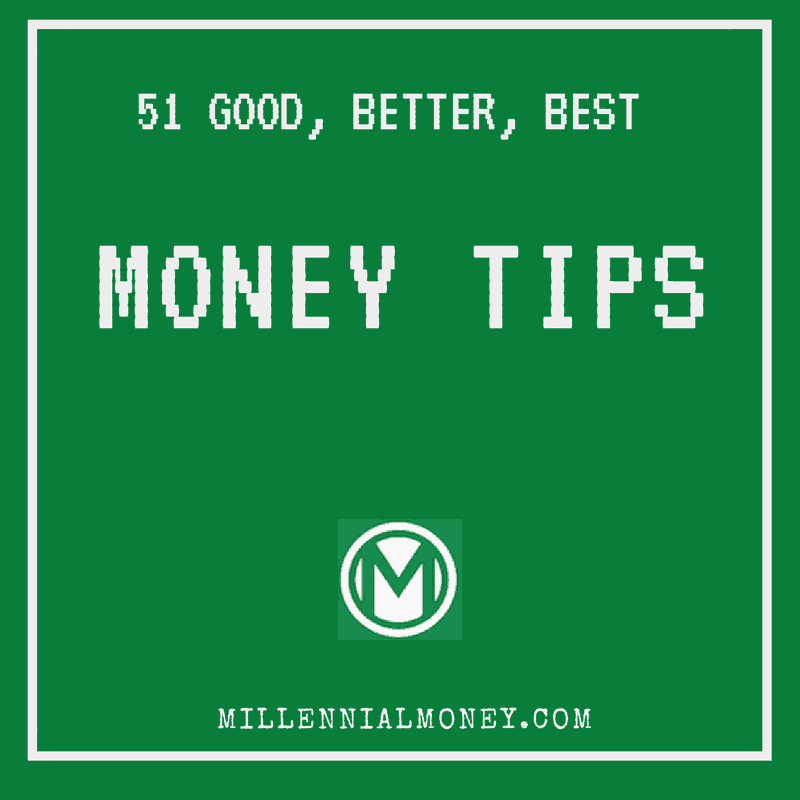 What are some of your good, better, best money tips? Fighting lifestyle inflation is a big one for me. I’m going to hit 6 figures this year with a combination of rental income, day job income, and side consulting work. I’m ensuring I stay hungry by paying down debt or funneling my cash to other investments. Thanks for sharing Grant, looking forward to next week’s posts. Yeah, lifestyle inflation is hard for me too. I am getting better at knowing when a purchase will make me happy or enrich my life and being more mindful in general. Thanks Erik. Thanks for linking to my post! Of course, I think we should all understand what we are investing in at least at a basic level, For example, maybe understand that you are buying a collection of stocks and/or bonds in a mutual fund and that it’s something you can get out of at any time without incurring fees , vs. say a variable universal life insurance policy with several years worth of surrender charges. These are all great points TJ. I agree you need to know what you are investing in! I agree also with your Simple IRA vs. SEP IRA recommendation – since with a SIMPLE IRA you can contribute up to 100% of your side income up to $12,500, whereas with the SEP IRA you can contribute up to 25% of your net income or $53,000 (whichever is less). Thanks TJ. We’ve been using Ibotta to save on groceries, and Groupon to save money on restaurant outings. It’s so easy to save with all of the apps available these days! I haven’t seen Ibotta. Will definitely check it out. Thanks Alexis. 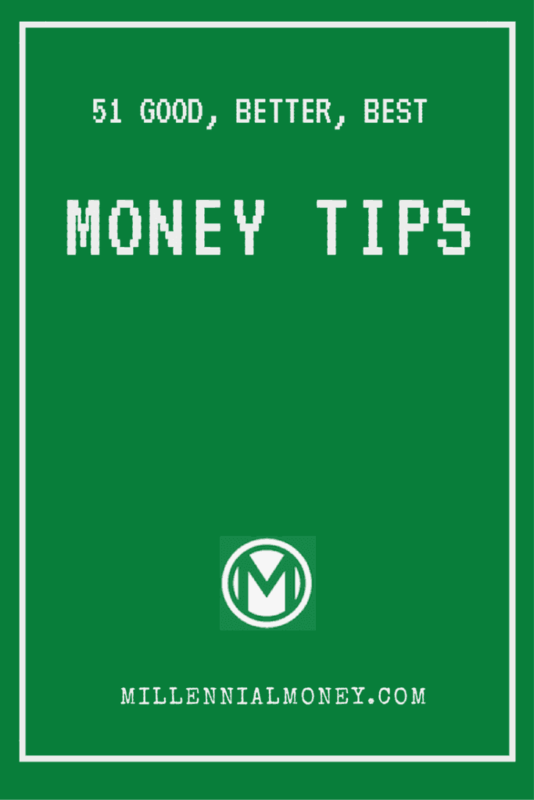 Your tips are really motivating people like me to start saving money at the young age looking forward to implement the given tips as much as i can. Great work!! !